Book your drone training course through Coptrz this month and you’ll be automatically entered into a free prize draw every month. The odds on winning this prize are extremely short in any given month. If you don’t win in the first month, your entry will be rolled over into the following 2 months, giving early purchasers multiple opportunities to win. The prize is the Mavic 2 Zoom. Book your Drone training course now and be in to win. Good Luck. COPTRZ is the largest CAA Approved NQE with training locations across the UK. The business has trained thousands of drone pilots since 2016 from Aerial Survey to Water Companies, from the Emergency Services to Offshore Oil and Gas. 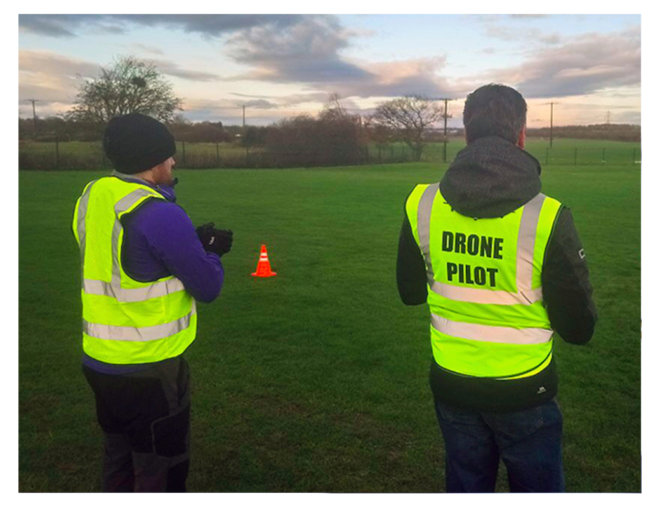 In addition to securing their PfCO, COPTRZ trained Pilots also qualify for their Ofqual level 4 certification which is recognised by employers all over the World as a vocational qualification to enhance career opportunities. 1. You will be automatically entered into a free prize draw when you purchase a PfCO course from Coptrz and opt into news and offers updates or as a registered customer who has opted in for news and offers updates. 2. Winners must be over 18 years of age and resident in the UK. Employees of Martek Drones, (trading as Coptrz), their families, agents or anyone else connected with this promotion, are not eligible to win. 4. Entry is only open to residents of mainland UK only. The competition is not open to residents of Northern Ireland. 5. The prize is a DJI Mavic 2 Zoom. 6. The winner will be selected at random from all entries received. 7. The free prize draw is ongoing until Coptrz notifies otherwise at Coptrz.com. 8. There will be one draw every month which will take place on the first day of every month (unless the first day falls on a weekend). 9. The winner will be notified by e-mail within 14 days of the draw date. 10. The prize must be claimed by the winner, within 6 months of the date of notification. And will be delivered to a UK address only. The prize will not be delivered to an address outside of the UK. 11. The prize is not transferable, and no cash alternative is available. 12. By entering the Free Prize Draw you confirm to Coptrz that all information submitted by you is correct and that you have complied fully with these Terms and Conditions. Coptrz reserves the right to verify the eligibility of entrants. Automated entries and entries via third parties or agents will be invalid. Entries that do not comply with these Terms and Conditions (including those containing any false information) will be invalid. 13. Coptrz will not take responsibility for lost deliveries – replacements cannot be issued. 14. If you are a winner, the Promoter may request you to participate in any publicity or promotion organised by the Promoter including promotional photographs and video. 17. The Promoter reserves the right to withdraw this offer or amend these Terms and Conditions at any time without notice. 18. In the event of any dispute regarding the Terms and Conditions, the conduct, results and any other matters relating to this prize draw, the decision of the Promoter shall be final and no correspondence or discussion shall be entered into. Book your CAA Drone training course today and be in to win. Good Luck!